The IB MYP students showcased their Science, Individuals & Societies, Art and Design projects for this Academic Term at an‘Exhibition’ on Monday, March 14, 2016. 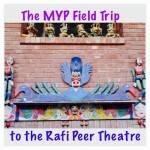 The projects were made using the knowledge and skills developed by students during their learning experience at IB MYP. MYP I students displayed household materials, planters and accessories using PET (Polyethylene terephthalate) bottles, cardboard sheets, recycled paper, glass bottles etc. with the aim to highlight the importance of recycling material. They also amazed the guests by converting a room into the magnificent solar system for everyone to walk in and experience the planets, stars and asteroids. 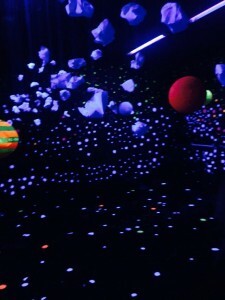 The students used the technique of papier-mâché to make the models of the planets, stars and asteroids, painting them using fluorescent paints as the room was presented in black light. The project was a collaboration of Visual Arts and Individuals and Societies to illustrate the wonders of the solar system and the students were extremely successful in allowing everyone to experience the Sun’s roiling surface to the icy realms beyond Pluto. It turned out to be the ‘big hit’ of the Exhibition. The MYP II students developed an ‘environmental friendly’ city model representing the utilization of Renewable Resources to fulfill a city’s energy requirements without causing colossal damages to the environment. It was a representation of a ‘Sustainable Urban Living’. The students also performed numerous scientific experiments which varied from explaining the effects of pressure on the bed of nails to the identification of metals by the colour of their flames when burnt, making circuits out of lead to demonstrate that metals are good conductors of electricity and creating 3D holograms. MYP III students showcased their engineering skills where one group designed a Radio Controlled Plane while the other designed a Smart car which was controlled through a mobile app. MYP IV students not only designed a ‘student friendly’ periodic table but also pleasantly surprised the guests with their in-depth knowledge and explanation of the elements. They converted their classroom into a science lab where they presented experiments varying from Law of Conservation of Mass, coin battery to atomic structure timeline. Their 3D models of digestive system and circulatory system was much appreciated by the guests. Also, one of the students acted as a food, nutrition and health consultant giving very interesting and informative recommendations to the guests. 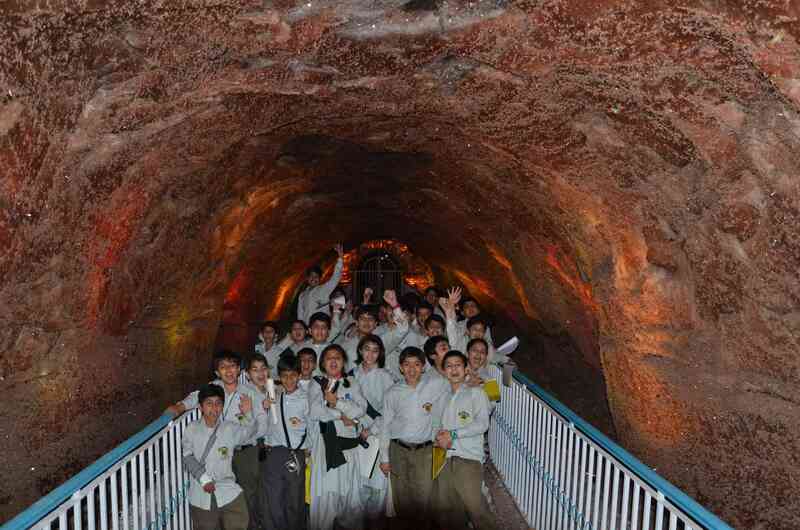 Classes Pre-MYP, MYP-I & MYP-II made a wonderful excursion to the Khewra Salt Mines on Saturday, 12th April, 2014. 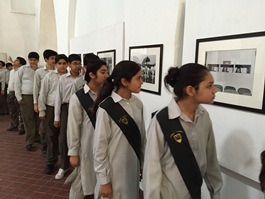 On its 70th Anniversary, the United Nations, in collaboration with the National College of Arts and Lahore Museum, held an exhibition titled ‘Human Stories through Photography’. The students of Learning Alliance Middle Years Programme had a tutorial planned at the Pictorial Exhibit at Tollington Marketby their MYP facilitators to witness the activities that portray the works of the United Nations throughout the world. The pictures provoked thoughtful discussions and meaningful dialogue between the facilitators and the students. Since IB instills in students to observe and learn beyond the four walls of the classroom, it is not uncommon to have lessons planned and delivered in places traditionally thought to be not the “classroom environment”. One such place was the visit to the Lahore Museum and a walk through the pages of History, where the students learnt about important chapters in Pakistan Movement portrayed through photographs and memorabilia. In the Visual Arts section of the gallery, the students had a session with Visual Arts Facilitator, Mr. Bilal Khan, under the timeless pieces ofSadequain, MF Hussain and Shakir Ali. Afterwards, they visited National College of Arts and walked through the corridors where Jamil Naqsh, Zahoor-ul-Akhlaq and Salima Hashmi, have spent a part of their lives and gone on to become legends. The atmosphere at the NCA Cafeteria was charged with energy afterwards as the students treated themselves with scrumptious street food and ice creams, and interacted with the NCA students, bombarding them with interesting queries related to the life at NCA. As part of the Individuals and Societies assessment of MYP I, students were briefed about the artefacts of Indus Valley Civilization by their facilitator Ms. Anum Wasim Khan. Students recorded their findings in their Individuals & Societies Portfolios. 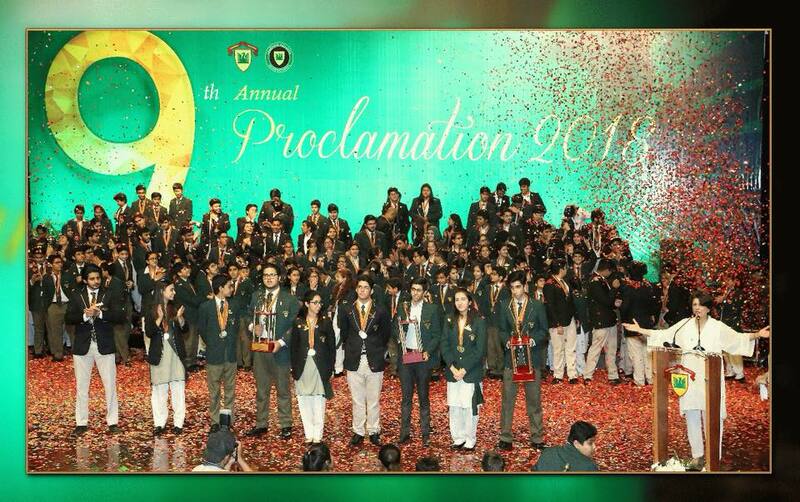 The UN exhibition and the subsequent visit to the Lahore Museum and NCA show the spirit and vitality that cultural diversifications have to offer! 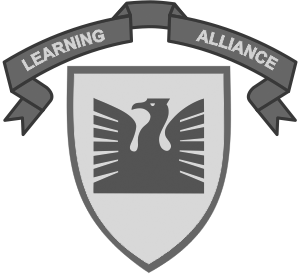 Learning Alliance International Baccalaureate inculcates in students a strong approach towards academics combined with extracurricular activities which enhance the love of learning. For this purpose, every year a field trip is planned that aims for reinforcement of lessons learned in classroom and continuation of education beyond school premises, making students lifelong learners. 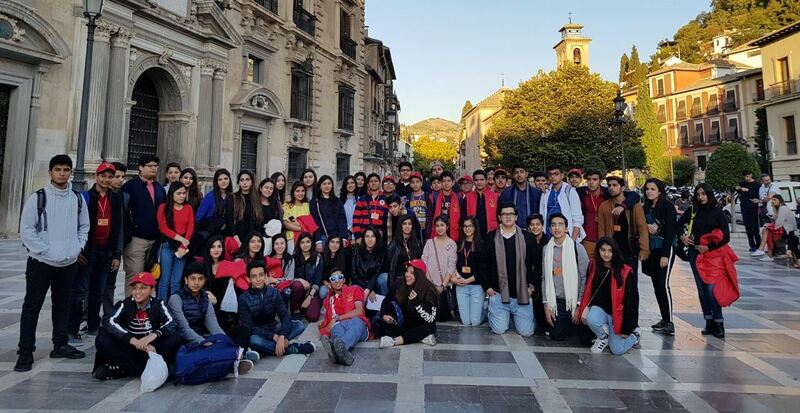 After a very enriching and successful trip to Khewra Salt Mines last year, this year, IB MYP planned a trip to the Mangla Dam, Hydro-Electric Power Station and Army Water Sports Club. This was a pre coordinated field activity undertaken in collaboration with the Science and Individuals and Societies units that the students have been studying. The students left for Mangla in the morning at 7:30 am and reached the Mangla View Resort, where they had a scrumptious lunch on a floating Raft, wafting in the delicious aroma of Barbeque. Later, High Speed Boat rides around and across the Mangla Reservoir, were thoroughly enjoyed by the students. It was interesting to witness discussions on the depth of the Mangla lake, the construction of the Dam and theories on Conservation. 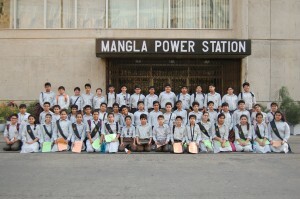 After the boat rides, the students were taken to the Hydro Electric Power Station. This trip served to equip the students with a better understanding of the related concepts of “transformation”, “resources”and “change”. The Science teacher, Mr. Kamal Din Khan explained to the students the process with which the water is transported from the different water channels into the reservoir and from there to the Power Station. The teacher also explained the process in which the “spillways” work, and the students were shown a 3D model of the Dam and its adjoining lake. 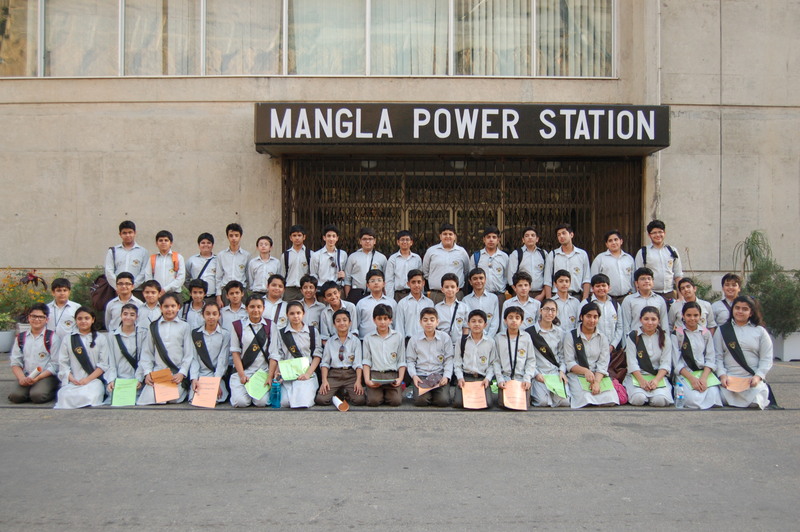 They were told about the importance and the advantages of Dams and Power Stations for an economy by the Individuals and Societies Facilitator, Ms.Anum Wasim and the appropriate way to source and cite the material, the students will be researching about in their lessons by Ms. Hana Tariq. This fun filled learning experience will go a long way in instilling a sound knowledge and understanding of our country and innumerable energy resources it is endowed with. 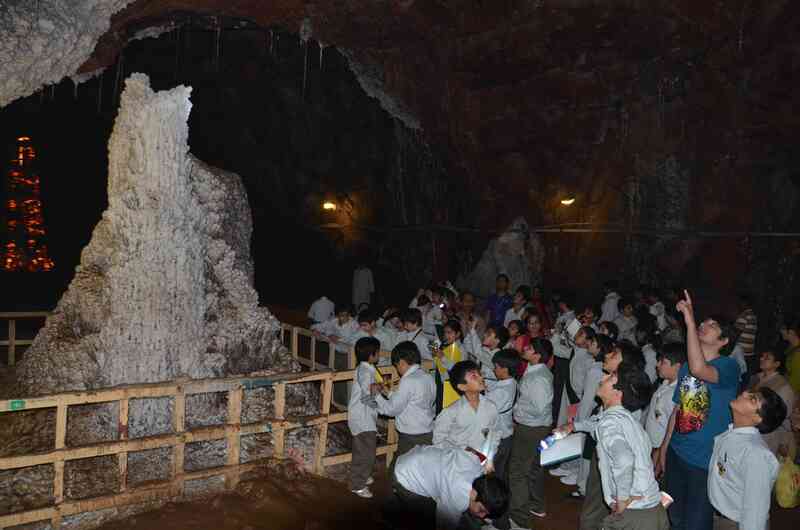 The purpose of the trip was to conduct an in-depth inquiry into a geological site to gain a better understanding of the key concepts of ‘Change’ and ‘Resources’ that students had been exploring in their Social Studies, English, Mathematics, and Science classes. economic impact of the mines on the nearby towns and communities? What is the effect of salt on water, soil, and animals of the Jhelum District? – Ability to apply concepts covered in Social Studies, Science & Mathematics to real life situations such as observing a 70 year old stalagmite and calculating the drip rates of salt water per minute to calculate how long it would take for a 1 foot high stalagmite to form. Taking samples of water collected in a crater and bringing it back to class to study the percentage of salt and water content in this solution. The guide said no one can sink in this water… finding out why? – Ability to reflect on the overall experience in English Language class to capture the awe and wonder as well as to assess the safety features inside the mine chambers. On a lighter note, the children were thrilled to go on the Daewoo bus and have lunch at Bhera (KFC & Subway) and ice cream on the way back. On the call of the LA Community Services Society, the IB MYP students brought different items as donations for flood victims to school. The students then sorted out all the items in different categories and packed them in cartons. They also labelled the cartons for the convenience of the collectors. All the donations, including food items, clothes, medicines, mineral water and shoes etc. have been handed over to the representative of the ‘Bali Memorial Trust’. 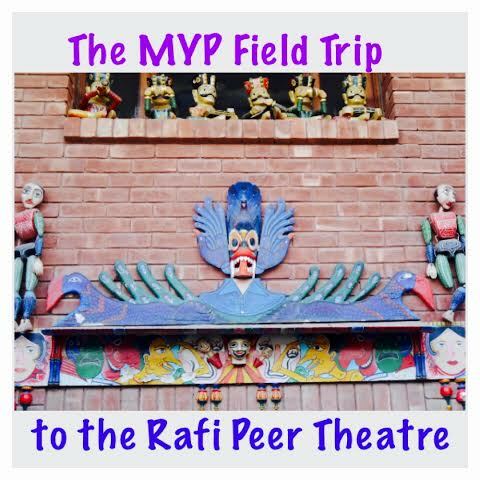 IB MYP students went for a field trip to Asia’s largest and most well known Museum of Puppetry; the Rafi Peer Theatre. The various kinds of puppetry displayed provided students with an insight into the true nature of creativity, and how it may be expressed in an appealing manner through their Arts & Humanities curriculum. Learning Alliance IB PYP is observing Parents Month from 13th October to 24th October. 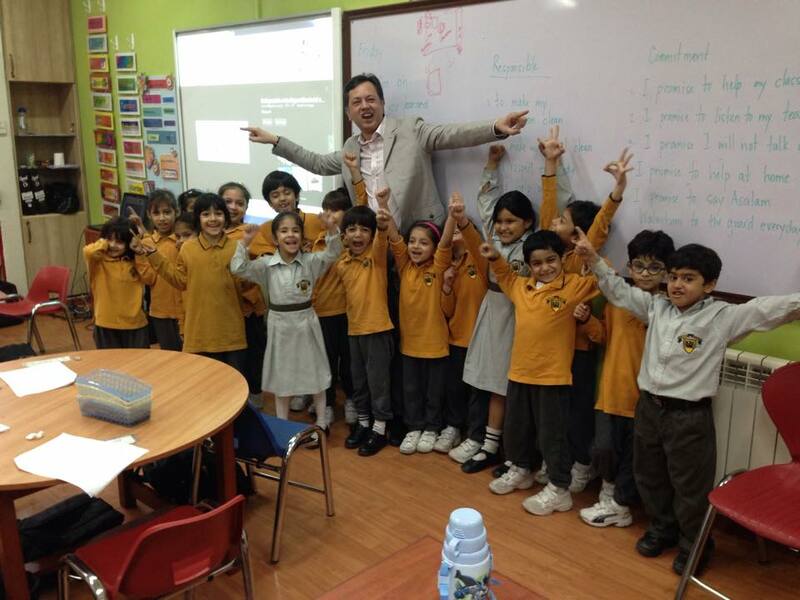 As a part of month long activities PYP 1 and 2 had a “Parents Talk on Different Professions” from 13th – 24th October’ 2014. Parents from different occupations came in to discuss their career choices. 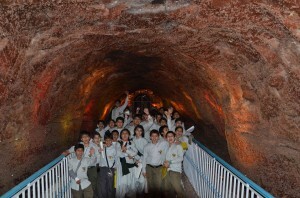 The students really enjoyed and they learnt from this experience. We had doctors, lawyers, a fashion designer, dentist, flight instructor, graphic designer, marketing executive, LUMS Professor, engineer and a businessman who came in to discuss their professional lives with young learners. It was an informative and interesting session for the students as they were exposed to different professions in their surroundings.